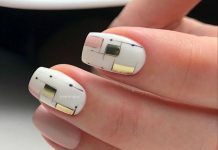 Nail designs would probably not be considered into the “art” level without the accessories aside from the awesome polish designs. 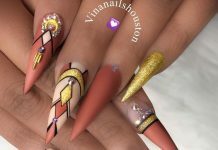 In almost all posts in this website, we always mention that the nail arts are accentuated or further enhanced by the application of accessories in the form glitters, plastics, or stones. 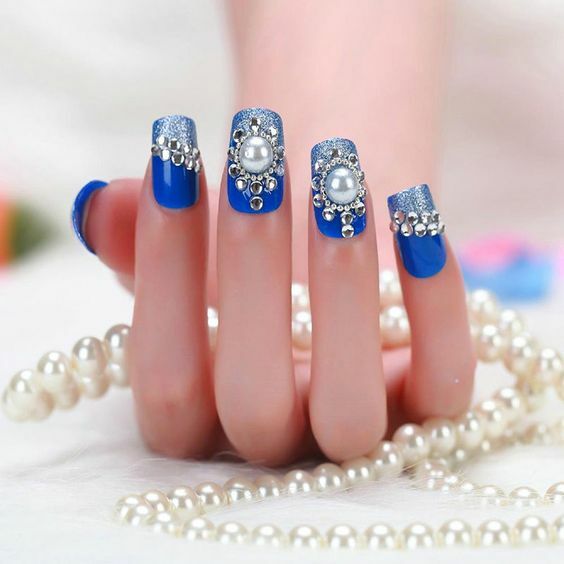 Today, we concentrate on jeweled nails particularly those with crystals on it. Not just any crystal though, we carefully collected nail art samples that has a very specific crystal accessory on it and that is a rhinestone. Rhinestone is basically a diamond simulant made from rock crystals, glass, or polymers. You may be familiar with rhinestones as birthstones used for earrings and pendants. 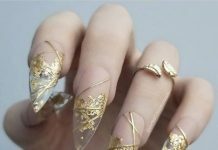 This is rather easy to affix into nails since there are rhinestones shaped with flat surfaces that can easily be glued on top of the nails. The nail art collection today are shining, shimmering, and oh so splendid. Check out what is in store for you guys and enjoy.